This is a voluntary organisation formed by members from administration, universities, civilians (Kagoshima Muslim Inbound Promotion Council). We want Muslims to enjoy food and tourism in Kagoshima too – the Kagoshima residents are ready to welcome Muslims in the prefecture! Kagoshima is the treasure house of food. Regardless of Halal certification, we will introduce you food products that do no include alcohol or animal-derived contents. In additional, we will introduce you Muslim-friendly hotel, and recommended tourism information for Kagoshima Prefecture. 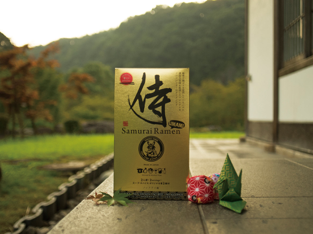 Feature: Samurai Ramen Umami is ramen made without any alcohol nor animal-derived ingredients.